Almost 40 years after his death, a new documentary on the life of martial arts legend Bruce Lee is being released, showing him as a film star, fighter and philosopher, and produced by his daughter Shannon Lee. Of all the credits attached to the name Bruce Lee, one of the bolder claims made in the documentary I Am Bruce Lee, is that he was the de facto father of Mixed Martial Arts (MMA). Often criticised for its brutality, MMA, and its most popular form the Ultimate Fighting Championship (UFC), has overtaken boxing as the most watched full-contact sport in the world. Its invention is credited largely to the Gracie family of fighters from Brazil, who founded the Brazilian jiu-jitsu utilised in “anything goes” combat of the early 20th Century. However, Bruce Lee’s daughter Shannon Lee agrees it is unlikely that one man or family single-handedly invented something as universal as mixing different forms of combat. But she adds: “One thing I will say about my father is that he was very much out in the forefront talking about his beliefs about being a complete fighter and attaching a philosophy to that and teaching it. If Lee was responsible for mixing fighting styles together, he also married the physical and the philosophical, thanks to his studies at the University of Washington as a young man. Next year marks the 40th anniversary of his death, from a cerebral oedema, a fatal build up of fluid on the brain. He was just 32 and the father of two young children with his wife Linda Lee Cadwell. It is also the 40th anniversary of his most famous film, Enter The Dragon, released months after his death, bringing him international, albeit posthumous, acclaim. In fact, his tragically short career has prompted other documentary makers though the years to examine his life, begging the question of whether there is any need for another one. “There have been many documentaries,” admits Shannon Lee, who acted as executive producer of I Am Bruce Lee. “In fact, when the idea of this documentary came about, even I was a little wary. 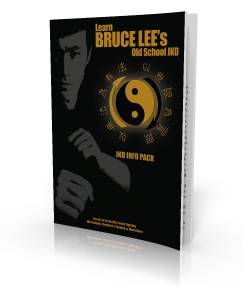 I Am Bruce Lee also omits more obvious talking heads, such as fellow martial arts stars like Jackie Chan and Jet li, in favour of aficionados such as Modern Family actor Ed O’Neill, basketball player Kobe Bryant and Black Eyed Peas star Taboo. Lee’s friend and student Dan Inosanto also speaks movingly about him. The pair fought against each other in Game of Death, a film only half completed by Lee before his death. Much of what is known of Lee’s life and philosophy comes from a 1971 interview with Pierre Berton, probably now the definitive interview with the late superstar, certainly the only surviving television interview, done just two years prior to his death. Clips from the interview feature extensively in I Am Bruce Lee, as he explains his beliefs to an increasingly bemused presenter. Initially an actress who made her film debut in Dragon, the 1993 biopic of her father, Shannon Lee is now president of the Bruce Lee Foundation, a non-profit organisation aimed at protecting the star’s legacy and offering educational scholarships to “students who… exemplify Bruce Lee’s passion for education”. Five decades after his death, his name is still a business worth up to $5m a year. However, the figure is small fry in comparison with the estates of other top earning dead celebrities. The problem, Lee says, is that her father is still one of the most iconic film stars of the 20th Century and it is a daily battle tackling the illegal use of his image and piracy of his films. “We’ll spend a week getting everything taken down and two weeks later, all new stuff is up,” she says. Joking aside, avoiding the internet is not necessarily a bad thing if Lee wishes to avoid long-running speculation about remaking Bruce Lee’s most famous film. “I don’t think Enter The Dragon should ever be remade,” she says flatly. “I don’t think that anyone could try to be my father, I think he was extremely unique and if anybody were to try to act like him and pull off the action in the same way, that would be a mistake. With talk of releasing a remastered version of the film for its anniversary next year, perhaps it is a failure that can be avoided for now. I Am Bruce Lee is on limited release on 20 July and is out on DVD and Blu-ray on 23 July. What Martial Arts Has Given Me? Bruce Lee was so amazing!